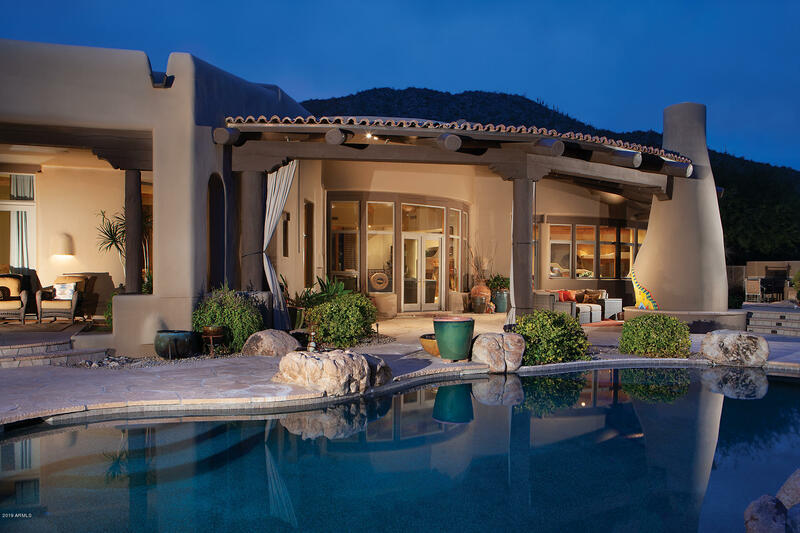 All LOST CANYON STATE PLAT 41 homes currently listed for sale in Scottsdale as of 04/25/2019 are shown below. You can change the search criteria at any time by pressing the 'Change Search' button below. "This timeless southwest territorial home is located in the very private guard gated community of Lost Canyon on 3.3 private acres nestled in the a pristine canyon of the McDowell Mountain preserve. The floor plan includes a living room, formal dining, kitchen with large center island opening to family room, 5 bedrooms including a 2 room guest casita, office and home theater (only room in basement). Unique features and finishes include 4 inside and 1 outdoor fireplaces, sculptured walls, hand sc"